When it comes time to celebrate a birthday, one big growing trend is getting an inflatable birthday cake to make the day extra special. Your kid’s eyes will light up when they see a larger than life birthday cake on their special day. Indoor or outdoor? Only certain inflatables will be rated for outdoor use. If you’re planning on using to for an outdoor party, make sure your inflatable will be able to withstand inclement weather if you need to leave it outside unattended. Self-inflatable? 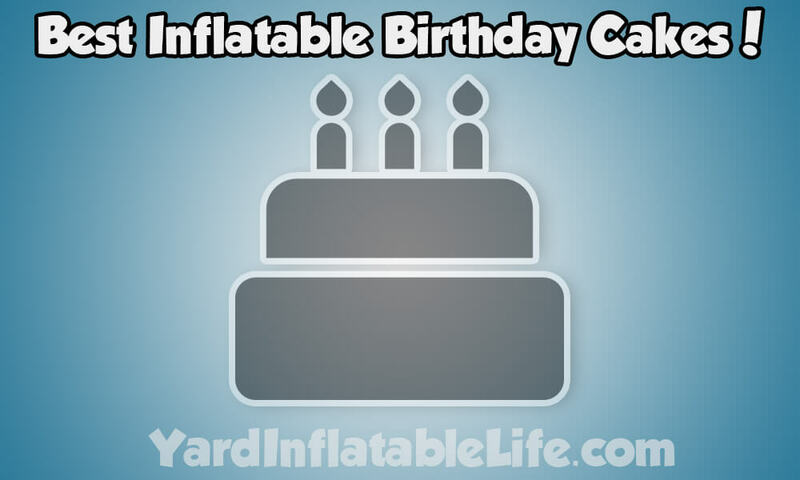 You’ll be able to find inflatables that come with a built-in blower that will keep the birthday cake steadily inflated, but these take more time to setup and move around versus an inflatable where you inflate in using some other method (like your lungs or small air pump). Inflatable Size. It’s always important to check the measurements listed on the inflatable and really think about the size before you order. Make sure you den’t get disappointed by something that’s too small or too large when it arrives and gets inflated. The Best Inflatable Birthday Cakes! 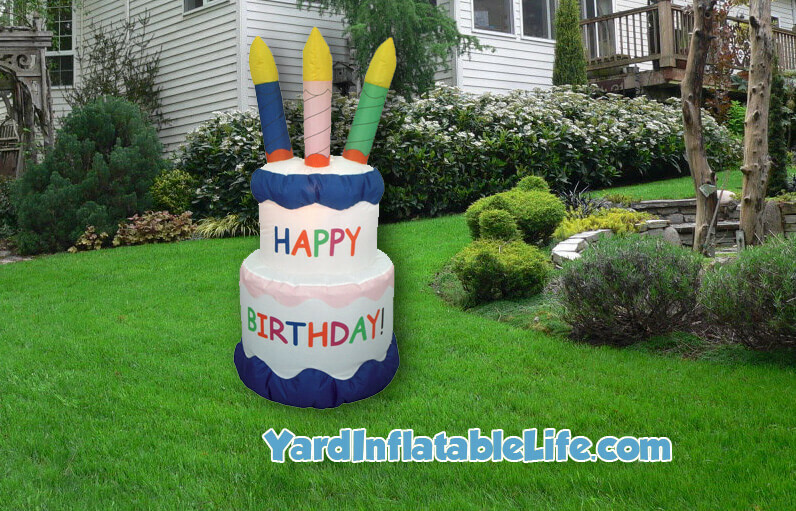 This inflatable birthday cake by Gemmy is perfect for any birthday party! Just plug it in, and it inflates in seconds without needing to be staked down or any extensive setup. Great for indoor or outdoor use! 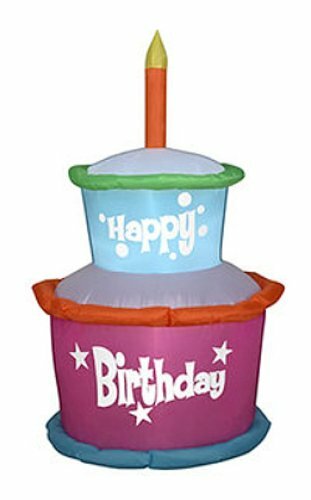 The inflatable stands 41 inches tall, and has gender-neutral colors so it will go with any party’s theme. It has internal lights to help illuminate the inflatable. Next up, if you’re looking to make an even bigger statement check out this inflatable cake! It’s a whopping 6 feet tall and 3 feet wide! 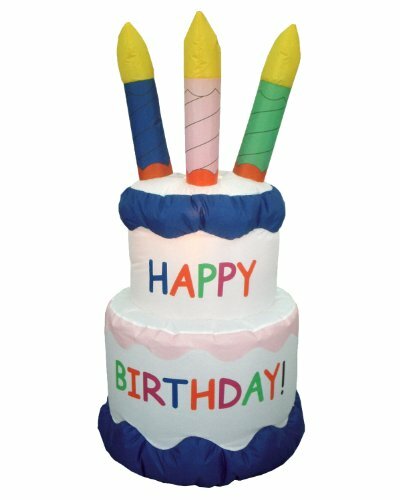 This inflatable birthday cake self-inflates once plugged in, and lights up internally as well. 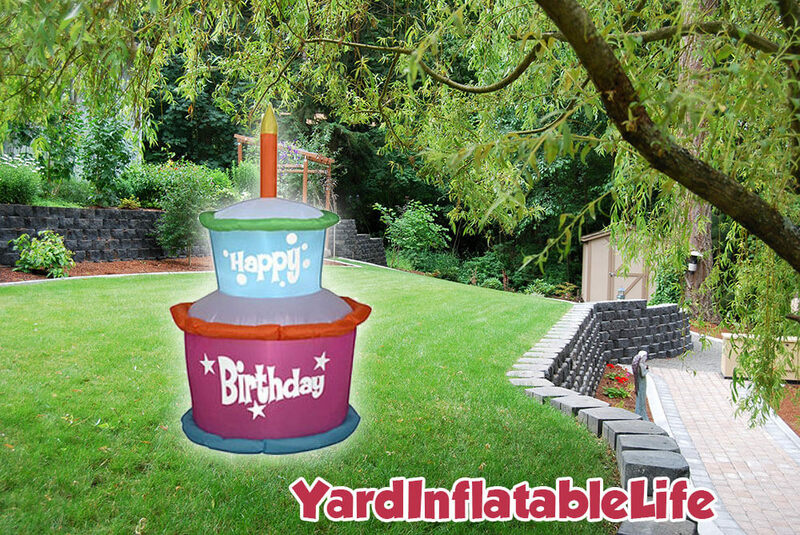 Given the larger size of this inflatable, it’s best to use this outdoors with the included stakes and tethers to secure it to the ground. 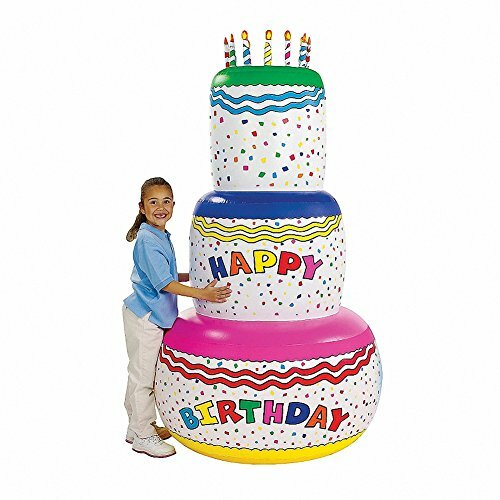 Finally, if you’re looking for an indoor inflatable without having to keep a blower plugged in, check out this 6 foot tall inflatable birthday cake. This is a great party item, and the base has a small weight in it to keep it standing upright. You could try to use it outdoors, but if it’s windy it may be blown around. You’ll need some sort of small air pump to inflate this, but once inflated you can put the pump away. That sums up our list of the best inflatables for a birthday. We also have guides helping you to find great Easter yard inflatables and perfect Halloween yard inflatables if you’re interested! Next Next post: How much electricity does a yard inflatable use?